Picking out pillows can be overwhelming! The options are endless, but there are a few things to keep in mind when selecting the perfect plush filled fabric for your home. You want to invest in a few QUALITY pillows that will hold their shape and last for more than a season! When designing a space with a neutral palette I love to incorporate pillows that become the art pieces of the room. They add color and design without overwhelming the monochromatic style. Below I have featured a few art pillows that are my personal favorites. The Pelicans dressed in gold by artist Elaine Gleason is truly a work of art. The lush shades of blues and creams are bordered in a rich metallic gold. Another great design are the beautiful hand painted fish by the most fabulous designers I saw at the New York Market! John Dransfield and Geoffrey Ross captured the coastal styles and painted it on these plush pillows! Perfect for the home on the coast or lounging furniture on a yacht. Can you say statement piece?! Pillows featuring beautiful color and design are great, but when you add color, design AND texture you can not go wrong! The hand dyed feather pillows featured below are all that and more. I consider these a true treasure found at the last market I went too. The turquoise and fuchsia colors of the authentic feathers had me awestruck! Hand Painted Pillows by Dransfield and Ross. Pillow sayings can add a little fun too! An unexpected caption printed across a fabric and displayed on a couch catches a lot of attention. Poufs are a great way to add an unusual seating space to a smaller area. I discovered the Moroccan pouf in the photo below shopping in the Souk in Marakesh. I love to add this unexpected global style to a room. It brings a glamorous feel to a small corner area with its rich gold designs. Outdoor pillow throws are quickly gaining popularity with bright colors and fun prints. The typical plain outdoor furniture designs can be brightened and made appealing with a few…or maybe a lot of great designed outdoor pillows. Make sure that the pillows you will use in an outdoor lounge area are designed to handle weather and can be properly cleaned without fading. The “Hello Beautiful” pillow that has gained popularity from being displayed at Fisher’s restaurant. Velvet textured pillow displayed in a foyer. Moroccan inspired pouf in gold metallic. For more information/inquires on any of the pillows or products in the photos visit our contact page by clicking here. Melanie Martin is a brilliant interior designer with an undeniable passion for her craft. Melanie’s talent, creativity and attention to detail allow her to bring any room to life. 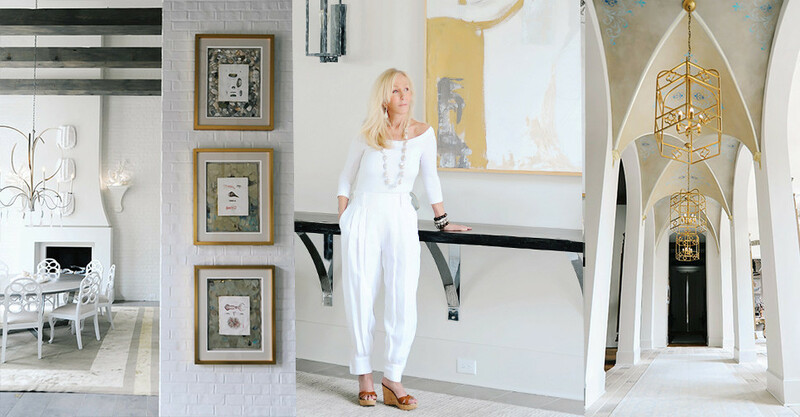 She has traveled the world using her talents and is one of the most sought after interior designers on the Gulf Coast.